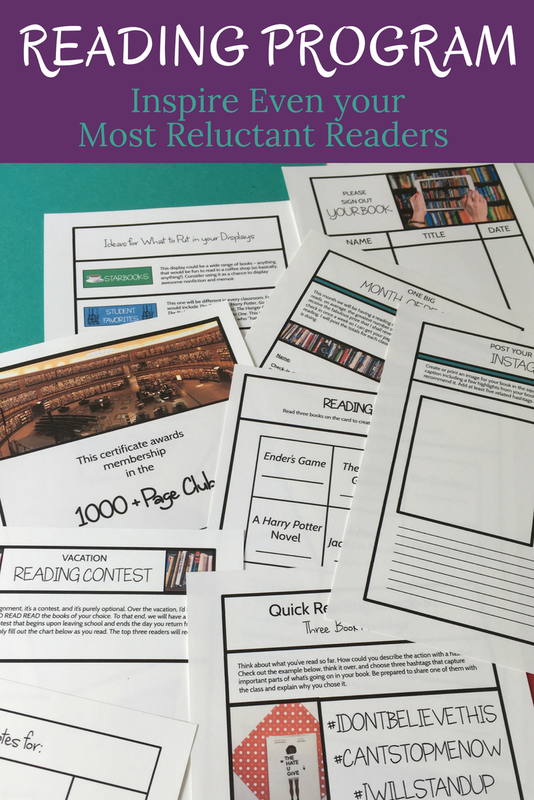 So you know you want your students to love reading. It will help them develop their writing skills, make them more successful in all their classes, teach them empathy, broaden their horizons, and help them become critical thinkers and leaders. You've seen the buzz about Gallagher and Kittle's 180 Days here there and everywhere, or you've read Donalyn Miller (The Book Whisperer) or Nancie Atwell. Maybe you listened to Jennifer Gonzalez interview Pernille Ripp for the podcast episode, "How to Stop Killing the Love of Reading." You're working on your independent reading program, maybe you've picked up some great books and managed to add some silent reading time for your students to your busy week. How do you grade the development of their love of reading? How do you keep from ruining their experience with rubrics and boxes to check off? Because yes, we want to give them choice. Yes, we want them to read just for the joy of it. But what about expectations? What about keeping it fair for everyone? How will this activity impact their grade? Well, my friend. I'm here with some ideas for you. What I have found most successful in my own reading programs is to treat the "assessment" part of independent reading as an opportunity for students to share their books with each other. As they share, using the various methods described in this post (or in the ones you come up with to add to these), you will have a chance to confirm that they are indeed reading their books without scaring them off. Let's start with a very simple check-in. It's one of my favorites. Say your students have been reading for a couple of weeks, and you'd like to get a sense for whether they are understanding their books. Ask them to take a few minutes to write down three hashtags they could use to capture what they've read so far. Then have them share their favorite of these hashtags in rotating pairs or small groups as you walk around. They get exposed to new books they want to read, and you get a chance to see who is struggling to come up with a hashtag and an explanation because they haven't read. Collect the hashtag write-ups and give them a smallish grade. Then, more importantly, check in with the kids who struggled and help them to find new books that they actually like. Want a copy of the book hashtags activity? Subscribe below and I'll send it along right away. Students spend so much time on Youtube. They've got their favorite channels, their preferred teens broadcasting from their bedrooms about gaming, fashion, food, and everything else. Many students even dream of having their own Youtube channel someday and becoming a sensation. Time to channel that energy and interest into reading review videos! Spend a few minutes sharing bookish channels by young people like "Hailey in Bookland" or "A Clockwork Reader." Then ask your students to create their own short videos (one minute or less) introducing their books to potential readers. Invite them to include the elements of a written review - things like what they do and don't like about the book, what the author's style is like, how the book compares to other books (i.e. "If you like ...., you'll probably like this book."). Remind them not to include spoilers, so they preserve the excitement of the reading experience for their classmates. If you want, share a few easy tips about creating videos for youtube. Talk to them about shooting video in a quiet place, with natural light on their faces. Mention things like framing and making eye contact with the camera. Either ask them to include a little fancy video footwork in a video editing program like iMovie (if you're into that kind of thing in your classroom), OR just have them e-mail you their short videos, right off their phones. What next? Well, you've got a lot of options for how to share these little treasures after giving assignment credit to your students. You could start a private Instagram channel for your class, with video posts. As long as the video is under 60 seconds, you can post the whole thing to the channel so your students can shop through the reviews for their next book. You could save the reviews to a folder on your teacher computer, then share top favorites before reading times in class, providing inspiration for those searching for their next book. If you're able to get the necessary permissions, you could even start your own class book review Youtube channel. Now here is an option with five star authentic audience potential! Your students will love seeing other kids from around the world subscribing to their channel, and you are likely to inspire at least some of them to take their videos to the next level by providing this option. I first learned about the power of the book talk from Nancie Atwell, when I was trying to figure out how on earth to inspire my classroom full of Bulgarian students to spend some of their free time reading books in English. NO ONE was talking to them about their favorite books by English-speaking writers, and I realized they were never going to choose any of my lifetime's worth of favorites if I didn't share them. Soon I was touting the joys of Ender's Game, Anne of Green Gables, Harry Potter, and many others at the start of class. I would just take one minute, hold up the book, and tell students why I liked it. Next thing I knew one of them would grab it and take it home to read. 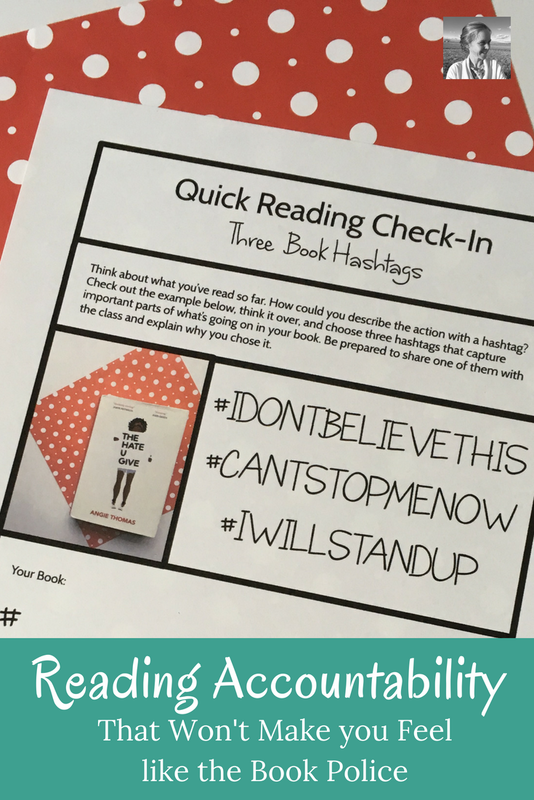 This is a great, easy way to build in a little accountability and help students share their books with each other. Whether you call it a book pitch, a book talk, a book commercial, or something else, the point is to let students share what they did (or did not) like about their books. Ask them to stand up, show their book, and talk about it for one minute. It's OK for the student to say they didn't like it, in fact that's important if it's true. Because students listen to students. THEIR favorites are the ones that pass like a bad rumor from kid to kid faster than you would ever expect. Spread these out over a few reading days. It's a bit much to hear thirty book pitches in a row - you will get to a point where the kids aren't really listening any more. If you'd like your students to focus more on writing with their check-ins, another great option is to start an independent reading blog and let them be the authors. You can make their blog posts a formalized assignment when they finish a book or a term assignment's worth of reading, or you can just periodically pass out paper and ask them to briefly review whatever they are in the middle of for the class reading blog. Set up your class reading blog on a free platform like Blogger, add a gadget that will show them their visitors around the world like RevolverMaps , and let students know that you're going to post their favorite books to other students all over the world. Again, authentic audience! Check out some old examples from my kids here and here. My students laughed this idea off at first, not believing anyone else would care about their reviews. But you know what happened? They started getting hits almost right away. They LOVED seeing those little dots appear on the map. Now, this option does involve a bit of extra work for you. What I would do is retype the reviews for popular books to make the posts. Then every once in a while I would look through and create a linked list in the sidebar to the reviews of the TOP most popular books. Sometimes I would ask students to go to the blog, check out the reviews and top hits, and write a comment replying to one review of a book they were interested in reading (have them screenshot their comment and mail it to you so you know they did it). It was a great way for them to scan through and get a lot of ideas. You could also highlight some reviews on your projector or smart board now and then, scanning through so they can see how cool their blog is looking and check out the map in the sidebar. In the end, all these methods for accountability do the same thing. They allow you to get a pretty good idea of who is reading and to give those students some points for doing what you've asked them to do. But they keep the focus on sharing great books, not on checking off the boxes on a teacher's to-do list. They make your program about reading community, not about looking over anyone's shoulder to police their reading. Because in the end, keeping tight control over every read is not the point. The point, my friends, is to see their love of reading growing before your very eyes. 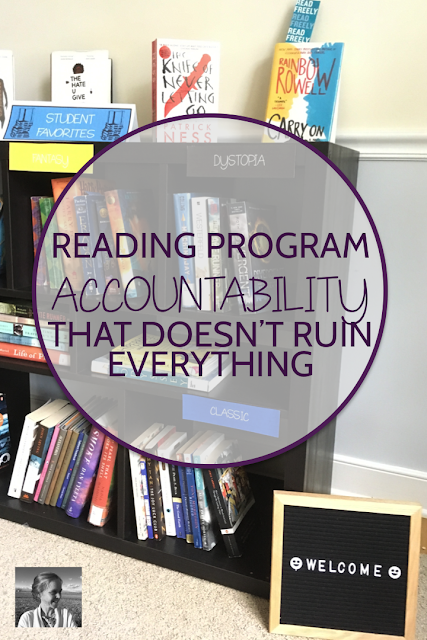 Need a little help putting into place an effective independent reading program that inspires kids to love reading and keeps subtle accountability in place? I just created your ticket to reading program success. If you've been dreaming of a reading program and experimenting with some class reading time, but just aren't sure how to structure it so that it functions as a successful program, check out this curriculum set. This sixty page program is the result of ten years of experimentation, research, and conversations with other teachers about what they need, and I think you and your students are going to love it! Like these. When you get accountability and community in reading response, you get two for the price of one. In middle and high school, I love using online book clubs with one post and two comments on others' posts were day. It's quick and easy for the teacher to jump in with a question or comment as well.